The beauty of a woman lies in her spirit. It’s the spirit that inspires her to tread unexplored paths and reach the pinnacle of success. Many such women have graced our planet; not to mention charmed us with their zeal and elegance. Zoya admires the spirit of those who dare to think different. 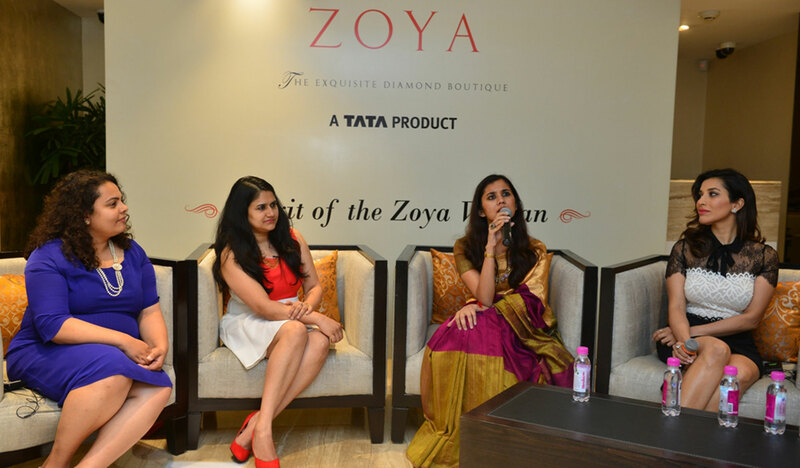 Zoya celebrates the woman of substance. Making a mark in their own ways, Sophie Choudry, Rajshree Bakshi, Ritika Nandkeolyar and Avanti Deo Mishra have proved their mettle. From the entertainment world to the corporate world, from a national stage to a global stage, they’ve conquered it all. Zoya takes pride in honouring the spirit of these women and salutes their courage to conquer multiple worlds. Presenting jewels woven in gold, diamonds and stones – inspired by the multiple facets of the universe. Jewels that are extraordinarily crafted to perfection. Jewels that celebrate the spirit of someone truly special. The Zoya woman.